Pack up and put in at Sawbill Lake. Head west through Alton, Beth, and Grace to Phoebe Lake. After July 1, small mouth are very easy to catch on Alton and Beth. Take the longer portage between Beth and Grace rather than the two shorter ones through Ella. Grace and Phoebe are two of the finest walleye and small mouth lakes in the Boundary Waters. The little rapids between Grace and Phoebe are too small to be navigable. Be sure to hike into these streams off the portages, though, for some gorgeous scenery. Hazel and Polly complete the string of lakes named after ladies. The story is pioneer forest ranger Bill Mulligan named these lakes after his maiden aunts. Polly is a fairly busy lake, so push on to Koma for unequalled walleye fishing. A short portage around the rapids separates you from Malberg Lake. Don’t be tempted by these rapids or any of the others on this route. They are not shootable even in high water. Although canoes have been wrecked in these rapids, dents and holes are the almost certain outcome for the reckless. Turn now to the east and go upstream on the Louse River to Trail Lake. You should be well organized and lightly packed to attempt this segment of the route, if you are the rewards are great. Paddle through lacy tamaracks and mysterious floating bogs. Portage alongside deep, moss-covered stream-carved grottos. Surprise blue herons, snapping turtles or playful otters as you wind around the river bends. 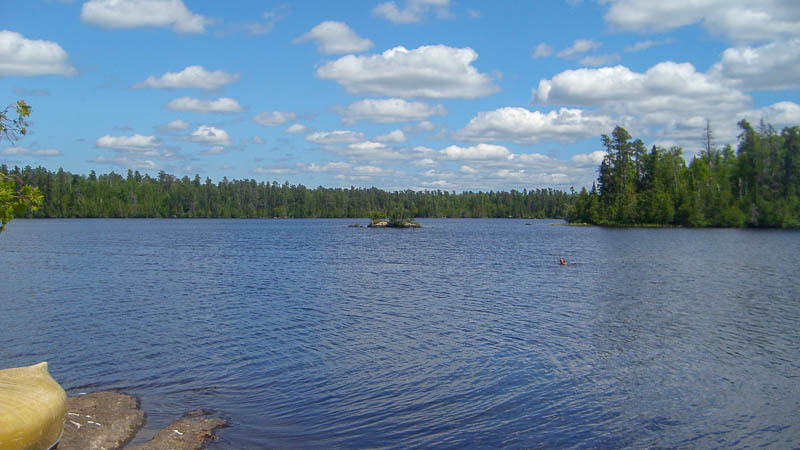 Trail Lake is small, has two good campsites and many large walleyes and northerns. Travel from Trail to Wine. The path follows much of the same pattern as the day before. Long, rugged portages, gorgeous scenery and plentiful wildlife punctuate this stretch. This can be a difficult day. All of the maps made of this portion of the Louse River are more or less inaccurate. Don’t count on being able to follow each mile of progress and each portage on your map. Watch for major landmarks and enjoy the feeling of being adrift in the Wilderness! As long as you stay on an upstream course, you’ll get where you are going. Try for lake trout at the bottom (60+ feet down) of the eastern half of Wine Lake. Two long portages bring you over the great continental divide known as the Laurentian. 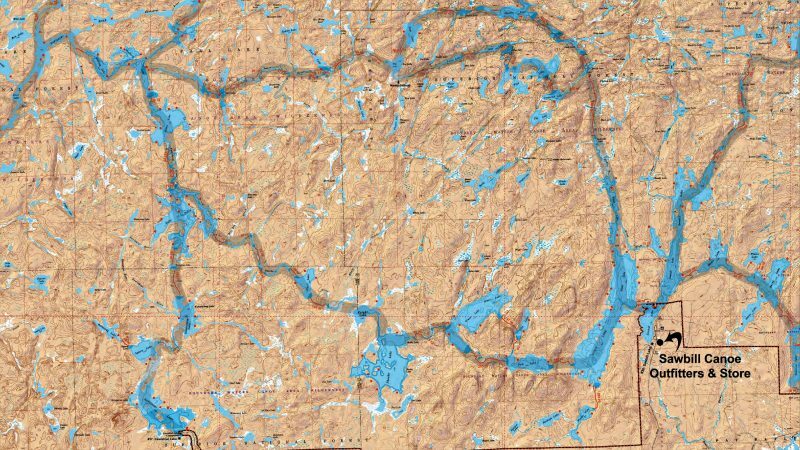 Two short portages and a couple of hours of paddling bring you back to Sawbill in time for a hot shower and some warm memories of the Lady Chain/Louse River route.